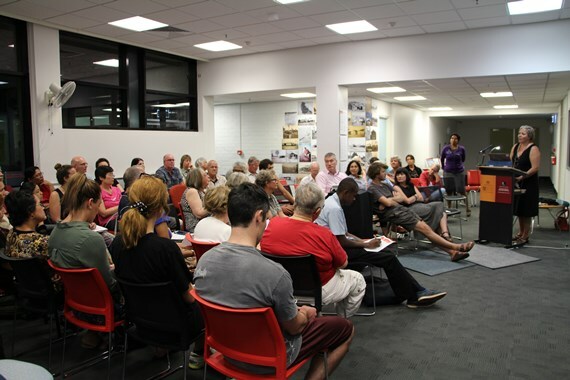 On 6 July 2016, Carol Christophersen presented the annual NAIDOC Week Lecture at the Northern Territory Archives Centre to an audience of over 50 people. 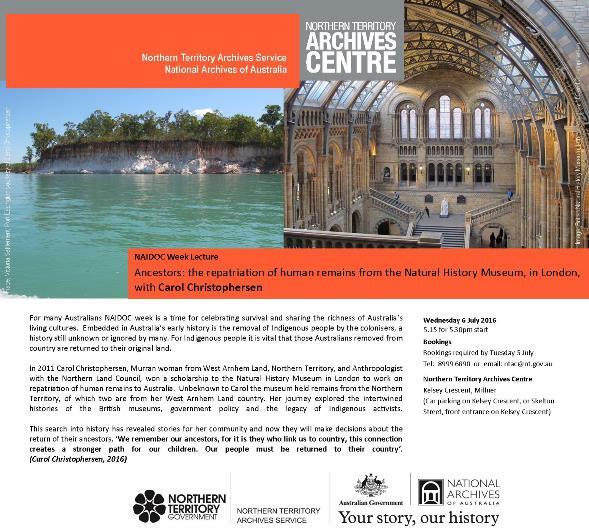 The presentation shared the story of Carol’s journey through a scholarship awarded to her in 2011 by the Australian Government, to work and study at the Natural History Museum, London, funded through the Indigenous Repatriation program. Carol Christophersen, speaker NAIDOC Week Lecture 2016. Carol is a member of the Murran and Bunidj clans in Western Arnhem Land and Kakadu National Park. 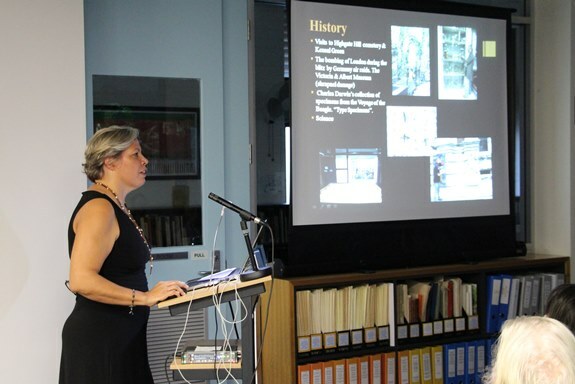 On commencing this scholarship Carol was unaware that the Museum held remains from the Northern Territory, of which two are from her West Arnhem Land country. This revelation transformed her task, adding a layer of personal responsibility to respect and honour her own ancestors, preparing them for their return to country some 170 years after they were taken. Her journey explored the intertwined histories of the British museums, Government policy and the legacy of Indigenous activists. Carol’s search into history revealed stories for her community who will now make decisions about the return of their ancestors remains. Songlines have been passed down for thousands of years and are central to the existence of Aboriginal and Torres Strait Islander people. They are imperative to the preservation of Aboriginal and Torres Strait Islander cultural practices. Through learning more about Songlines and how they connect people to Country and the Country to people – we celebrate the rich history and diversity of Aboriginal and Torres Strait Islander cultures - the oldest continuing cultures on the planet.